This is an Extemp memories stub site area. The collapse of the 35W bridge this evening wipes out yet another important part of the old Coffeehouse Extempore scene. 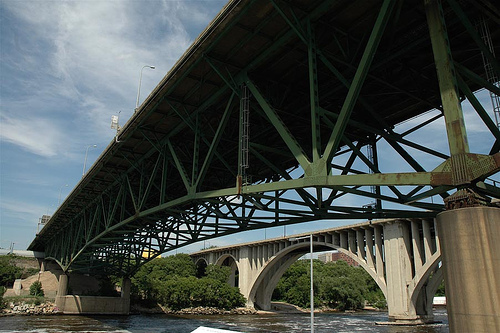 Along with the Washington Avenue Bridge and the 10th Avenue Bridge, the 35W bridge was vital to the West Bank of Minneapolis. 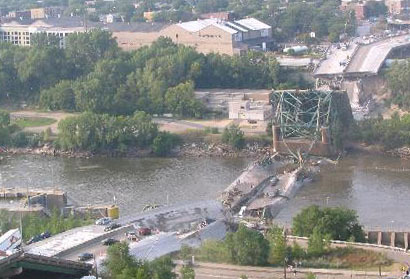 Click here to see original lower structurals of the bridge, a shot of the collapse, and a map showing the area. 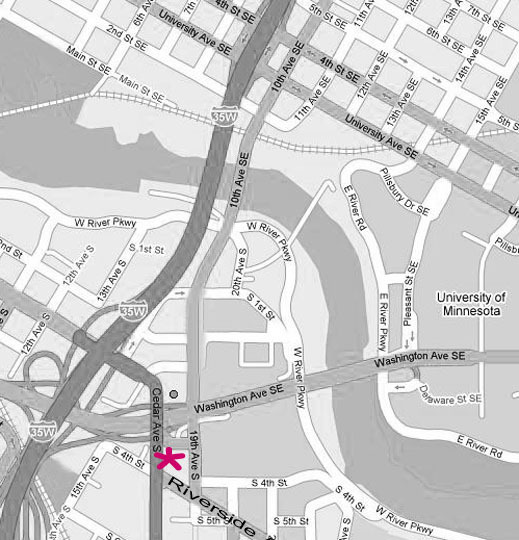 Note where 35W crosses the river; then scan down for Cedar Avenue S. The Coffeehouse Extempore was located at 325 Cedar Avenue, just a few doors up from the intersection of Cedar and Riverside, on the east side of Cedar (indicated by red star). The coffeehouse I believe was the third door north from Riverside. Music has always been my legitimate heartbeat, although I've never been a performer except in my dreams. 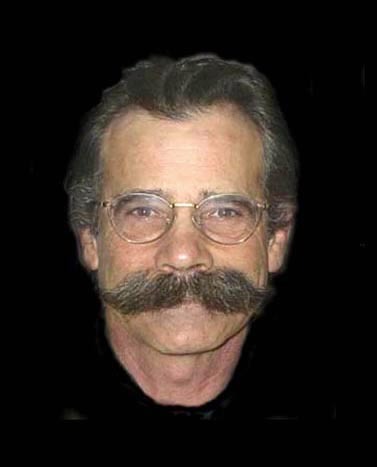 Over the last few years, several of my long-time friends and acquaintances have passed on, so this web section is my way of honoring their memories and dealing with my grief, by providing stories and links to interesting and important sites of past and present performers and their music. If you'd like to comment or have an Extemp story and/or photos you'd like to share, please . Note: If your security system blocks our secure email link, you may have to click the yellow bar under your toolbar and click "allow active content". In 1970 when we moved to a big old dilapidated house in South Minneapolis, the Coffeehouse Extempore on the West Bank was about a mile to the north and was the place to go. For me, the Extemp was a non-alcoholic, music-filled escape from poverty and stresses of single-parenthood. It even had free parking out back in the pot-holed gravel parking lot. Concerts in the gallery were low-cost; the place was safe and fun. There were almost always chess games and other board games in progress, and when my little son and daughter were older they were often able to enter into a chess or Chinese checkers game with an adult, which was a true joy for them and a terrific learning experience. Typically, no matter where you went in that building, live or taped music would follow you with acoustic guitars strumming, mandolins or banjos twanging, strong voices lifting your spirits, wood floors creaking, hot cooking aromas wafting around, regulars and newcomers chatting and yelling back and forth, and dishes clanging in the kitchen. Sometimes the core group of regulars would indulge in a game of Risk late into the night. The Coffeehouse Extempore is where I met Sean Blackburn. I can still see the exact moment, as he strolled into the first-floor cafe area with his long-time and much-loved partner Janine. I about fell off my chair over his good looks and was smitten in a New York minute. At the time, Sean worked to teach some of us newbies guitar, with me fumbling with my strings and feeling faint over his presence across the aisle in one of those homey but grungy second-floor music rooms. From that beginning and through the years, Sean showed himself to be all that he's been touted to be and more: Smart. Honest. Warm. Funny. Interesting. Genuine. Communicative. Interested. Artistic. Sweet. Gentlemanly. Calming. Enthusiastic. And always exploring new methods for his wonderful talents. Now in 2007, a whopping 37 years later, Sean is still seared into my heart, under my skin, and never far away no matter where his travels and desires may have taken him. 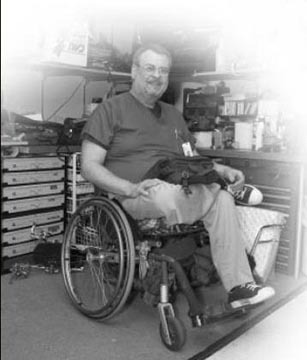 It's been said many times, but it's true: Sean Blackburn was one of a kind. A genuine diamond. I will joyfully carry the treasures of our alliances with me to my grave. Be sure to click on the "Musician and Entertainer" link, where you will find links for purchasing and supporting Blackburn-related music including that of other musicians. Please support them. Sean would surely be delighted. Steve and I also met at the Extemp, well before he became the Coffeehouse Music Manager, and we immediately bonded. We took in gigs together, shared parties with music through the night, giggled a lot, worked a Prairie Home Companion show or two backstage, helped fill the audience for public radio, shared a few small trips, and did a little general gallivanting. I think my favorite memory of Steve, though, is a pseudo camping trip we took up to the Arrowhead region of northern Minnesota. The kids were bouncing around in the back seat (this was before the smarts of mandated seatbelts), and it's a good thing I was driving since Steve and they were rough-housing and in stitches the whole trip up there. Unfortunately, neither of us thought to check what the weather would be like 300+ miles north of Minneapolis, so we were hardly prepared for what was to come, other than having warm jackets for the kids. Worse, we didn't get started until mid-afternoon. We drove into Duluth and down Park Point into the bay picnic area for a late meal of lemon-buttered torsk in foil tucked into a charcoal fire next to foil-wrapped potatoes and corn on the cob, introduced by and prepared with Steve's participation and direction. It was heavenly! Except the wind was picking up and it was getting awful cold, and our yummy food was starting to get blown around, attracting much sand. So amidst all our goosebumps, we gulped down sand and all, quick packed everything up, jumped back in the car, and took off up the north shore of Lake Superior. Having done not a shred of planning and forgetting about the need for a map, we debated over which road to take north. We finally grabbed one, although to this day I have no idea which road that was; it was definitely one that got verrrry narrow as we progressed north, more like a wide path than a road. We drove. And drove. And drove. It was a dark and stormy night, lol. Cats and dogs were pouring down and the wind had increased to where the rain was headed across the road sideways. Still, it wasn't too bad because we could almost see the narrow roadway through my barely working wipers and cracked windshield. I suggested we keep crawling north and see if we couldn't find my sister's place up in Hoyt Lakes. So we drove. And drove. Everybody was getting tired, sore, and cranky. And we wondered if we had over-shot and might be in Canada? Finally, Steve suggested we pay better attention by watching for a campsite and set up for the night, thinking we could finish the rest of the long drive in the morning. So we drove some more, peering through the rain trying to catch a campsite. Eventually, Steve spotted some green campground markers off the roadside, and we pulled into a large lot all to ourselves, since there was not another idiot out there besides us. In that awful cold rain, we got out of the car and pitched our little two-man blue puptents while our headlights blinded us on one side and on the other side we couldn't see the tent pegs for lack of a flashlight and the wind grabbing and flapping and tearing the nylon tents away from us. Steve was using his crutches back then which he tossed to the ground, and was literally crawling around in the rain, muck, and gravel, struggling handsomely and soaked to the bone. The tents were finally up, dry blankets distributed. My little girl, Shawn, and I were trying to sleep in one tent with Steve and my son, Shane, giggling the night away in the other, all of us squirming miserably on that hard ground covered with a bajillion sharp pebbles, still wet, still cold, still crazy. Man, that was a miserable night! In the morning, we crawled back into the car and tried to warm it up, but there's usually little that works well in my vehicles, most especially the heaters. So we sat there shivering and giggling hoping to accidentally get comfortably toasted. Steve said during the night 3-year old Shane had told him he was cold, and asked "Why don't we go tear their tent down and chase the girls in here?" to which Steve quipped, "Man, I had to go to college to learn that!" Moments later, Steve turned around, looked at five-year-old Shawn, and asked in his bright and perky manner (slightly garbled with morning fuzz) scratching under his hairy chin like he always did, "So, how did you sleep?" She looked at him quizzically and answered with amazement at such a question, "Well, with my eyes closed!" More giggling. So now it was a little bit light out, the car wasn't as freezing, we were still wet and shivering, and we decided to start out on what we thought was going to be a many-more-miles drive to my sister's, if we could ever even find her (again, no map, no address). We pulled out of the campsite, drove maybe 10 yards, and there was the road into Hoyt Lakes, with buildings just feet from where we had slept. We had spent that long, cold, nasty night driving over 300 miles and settling down in agony no more than 1/2 mile from my sister's dry, warm living room floor! More giggling. We did luck out a little. After driving around for maybe only 15 minutes, I finally recognized my sister's house where we gratefully accepted warmth and a hot breakfast. under your toolbar and click "allow active content". 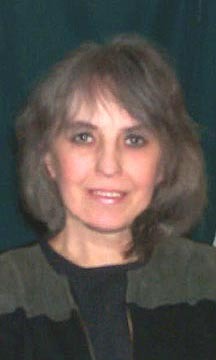 � Copyright 2007 barbara marston. All rights reserved.